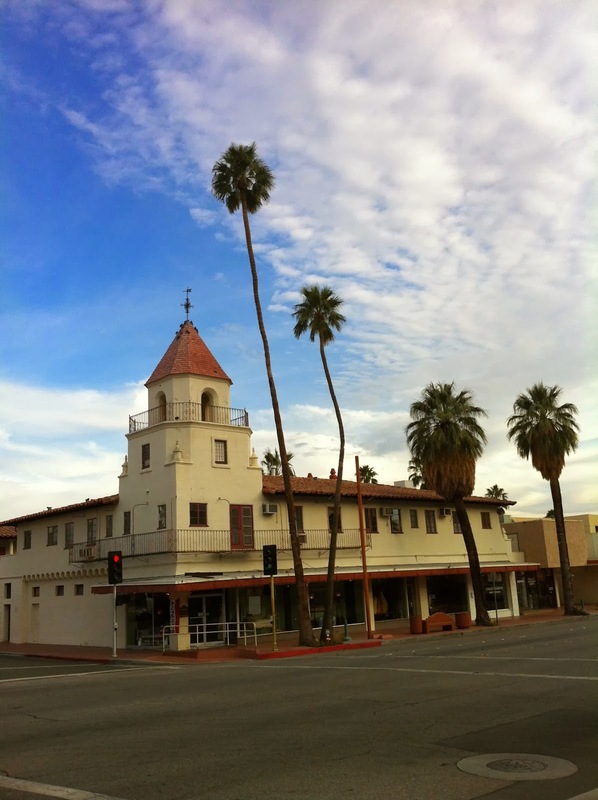 Palms & Pints: How much do you know about Palm Springs? How much do you know about Palm Springs? It's an early February afternoon. We step off a domestic American Airlines flight from Dallas-Fort Worth. It's a balmy 23º C and there isn't a cloud in the sky, which is visible from the mainly open-air terminal. We had just landed in Palm Springs, California. Our goal was to escape the winter deep-freeze for a week, while maintaining the comforts of North America. I love the Caribbean as much as anyone, but sometimes it's nice to be able to freely walk the town, do some shopping and grab a Starbucks without sacrificing any of the conveniences of home. At that time of year your options are fairly limited. Remove Hawaii from the equation, and your only real option for probable 20º+ heat is south Florida, beyond that you are rolling the dice. Sometimes it's nice to travel without leaving behind the comforts of home. Palm Springs is famous for golf and is considered one of the premier destinations in North America for the sport, especially in the winter. I joked at the airport that it was so easy to find our luggage on the carousel, ...it was the one that wasn't clubs. Outside of that circle it doesn't really resonate with sun-seeking travellers. After having spent some time there, I almost wish it would stay that way, for my own personal benefit of keeping costs and crowds to a minimum. The landscape is magnificent, the city is situated in a valley surrounded by mountains. (This is what keeps it insulated from weather systems and thus dry and warm). Towering, and I mean towering(!) palm trees dot every road and open space. If beautiful scenics are your thing, Palm Springs is just begging for you to try out that pano feature on your new iPhone. A quick glance around town and you can see where it got it's name. The downtown is small and quaint (and fantastically walkable!). If you're looking to party, you're in the wrong place... Hollywood is only an hour away. However if you want to find a cozy and romantic spot for a great meal or a few drinks, there are more than enough options to satisfy. Check my review of Trio, a chic, top-rated restaurant downtown. Looking for a great day trip? How about taking the famous Palm Springs Aerial Tramway. The views are unmatched. Or take a drive up the San Jacinto mountain to the town of Idyllwild. The road is aptly named the "Palms to Pines Highway", as the temperature and landscape change in a hurry as you gain altitude. I swear flip flops made sense down in the valley! Sure it doesn't have the ocean like Florida, or the glamour of LA or Vegas, but Palm Springs brings an element of beauty, adventure and winter escapism that is hard to find anywhere else. Hotel Tip: Check out my review of San Giuliano, an incredible boutique hotel that is almost like your own personal villa in the city! Note that prices have gone up a bit since I stayed in Feb 2012, as this hotel has shot up the TripAdvisor ranks, with 5-star review after 5-star review. It is difficult for any future hotel expirence to match San Giuliano! Any questions or comments about Palm Springs? Let me know!